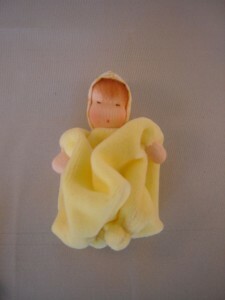 Just wanted to share this little guy with you, he was made last december as a St. Nicolas gift for a little boy. 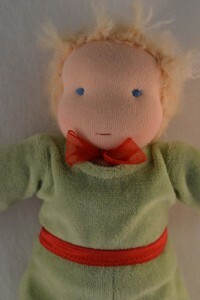 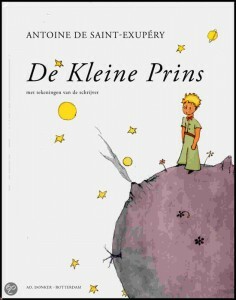 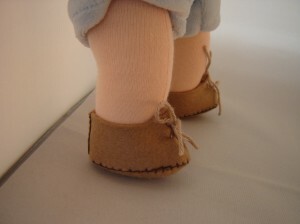 He is inspired by the lovely book Le Petit Prince by Antoine De Saint-Exupéry about a little boy who lives on a planet. 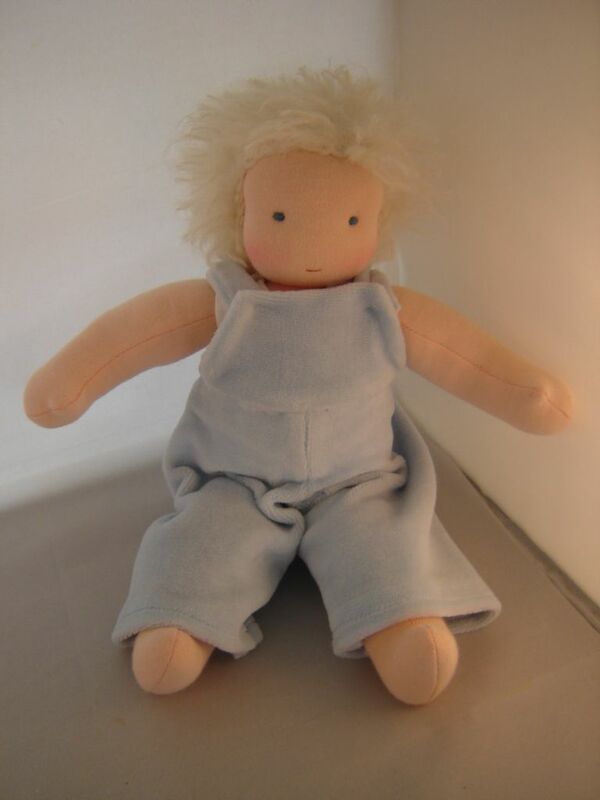 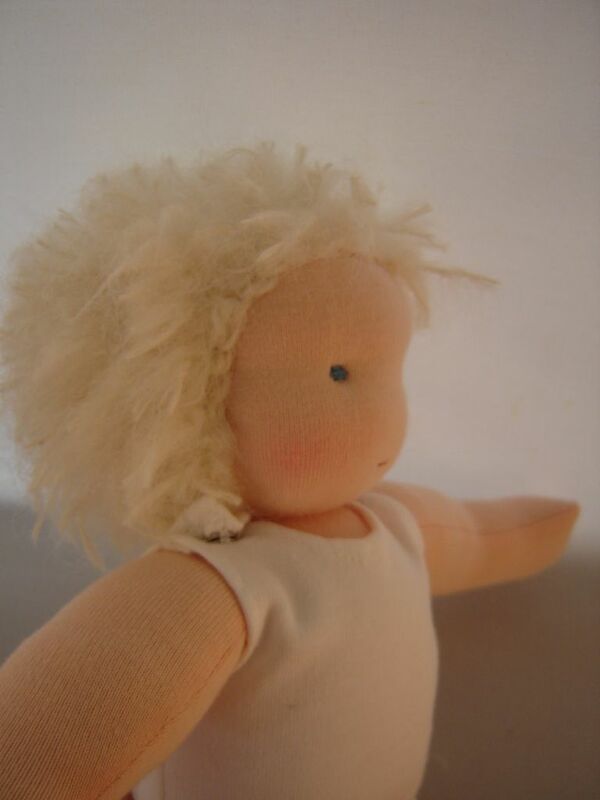 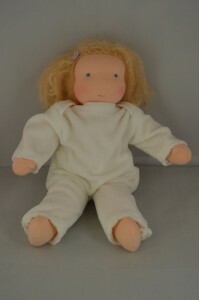 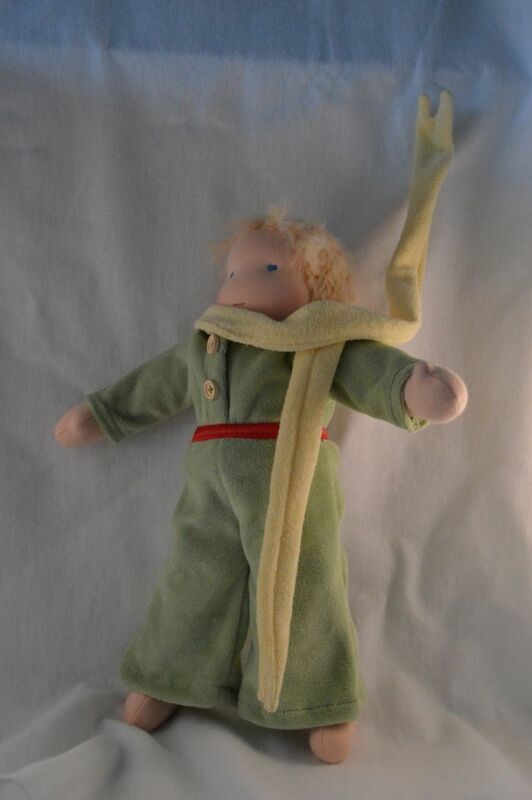 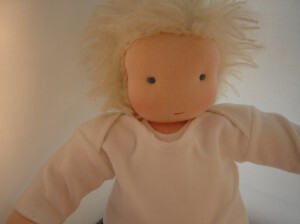 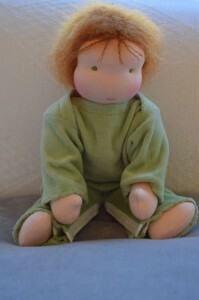 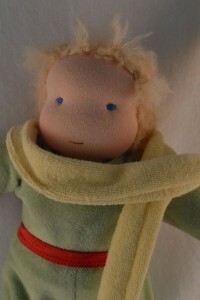 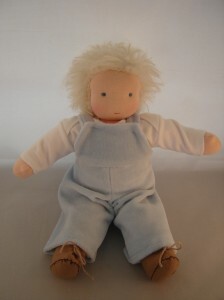 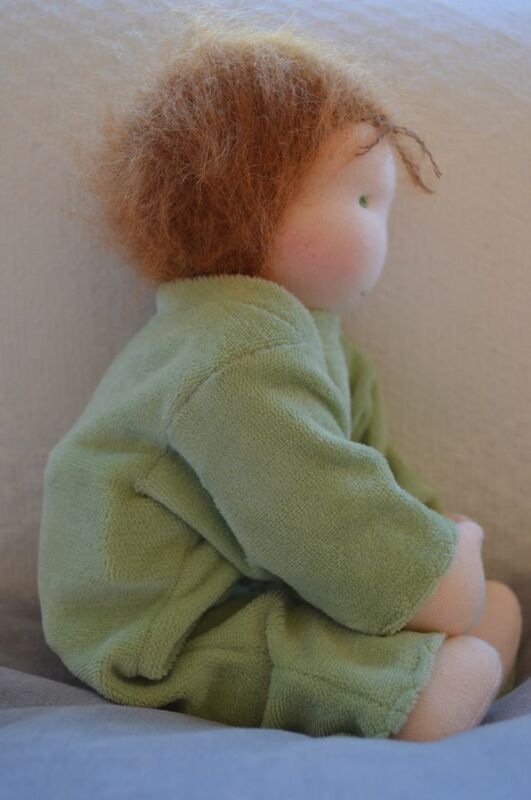 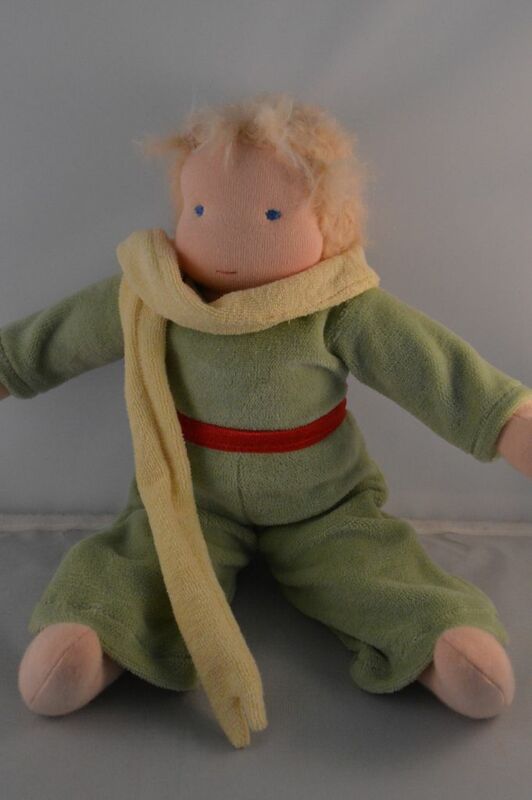 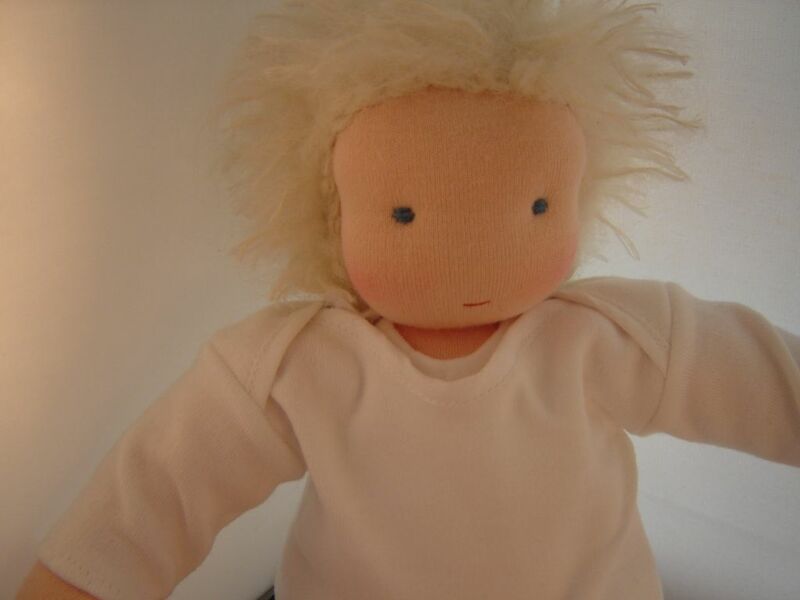 I have made Petit Prince dolls before but always with a soft velours body, this is the first one that has a tricot body and clothes that can be removed. 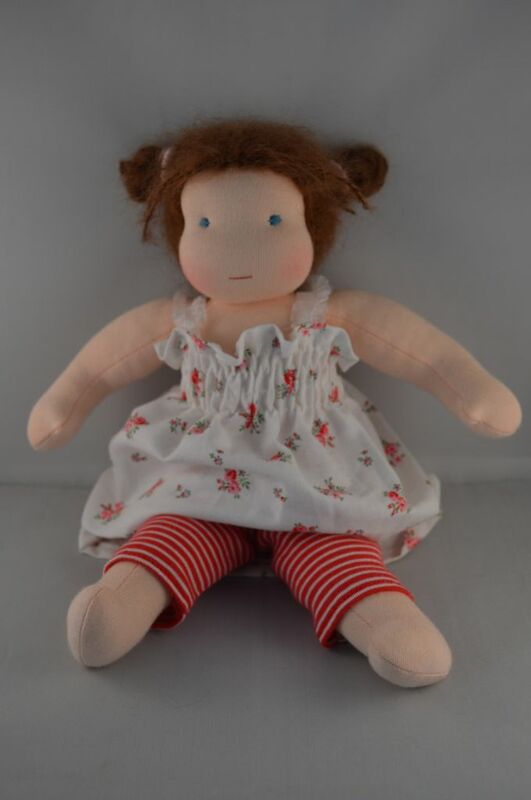 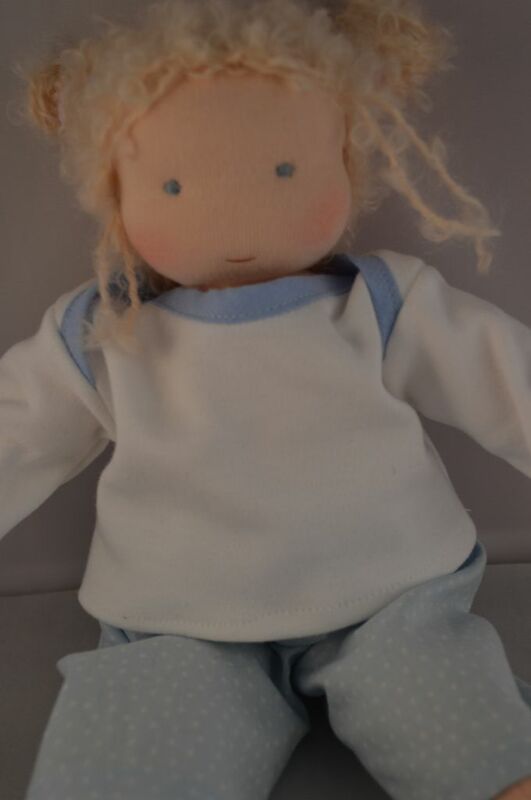 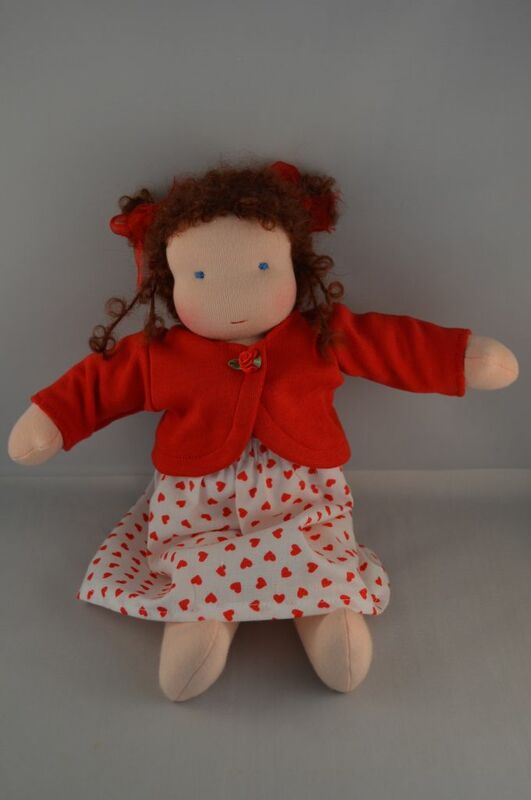 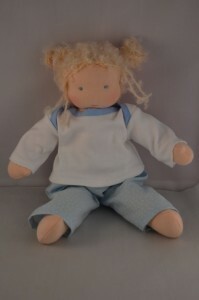 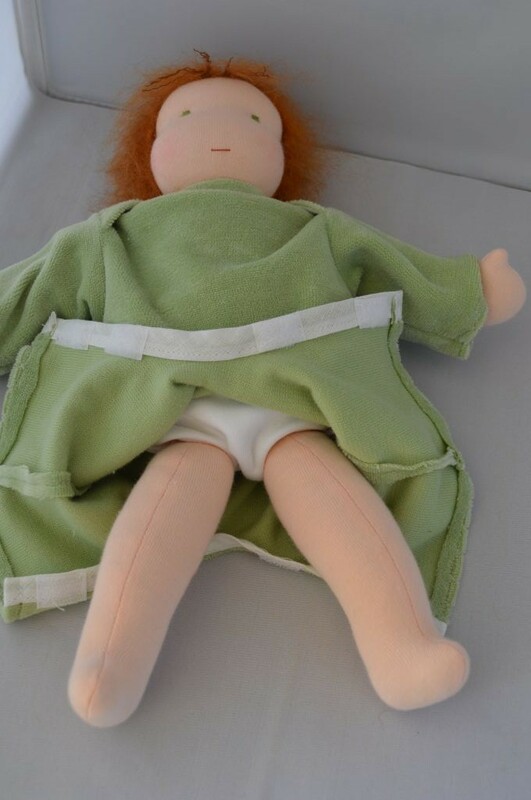 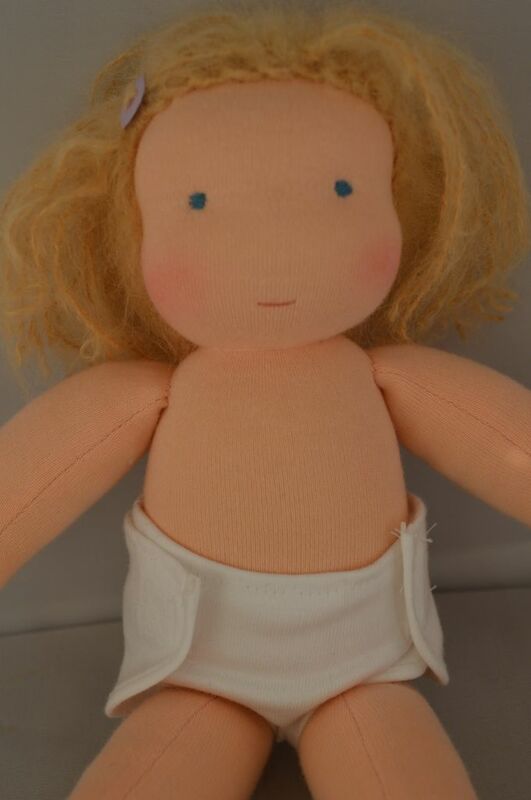 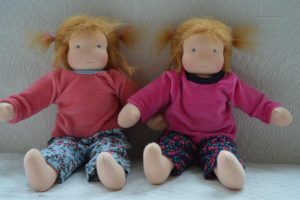 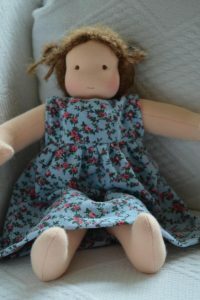 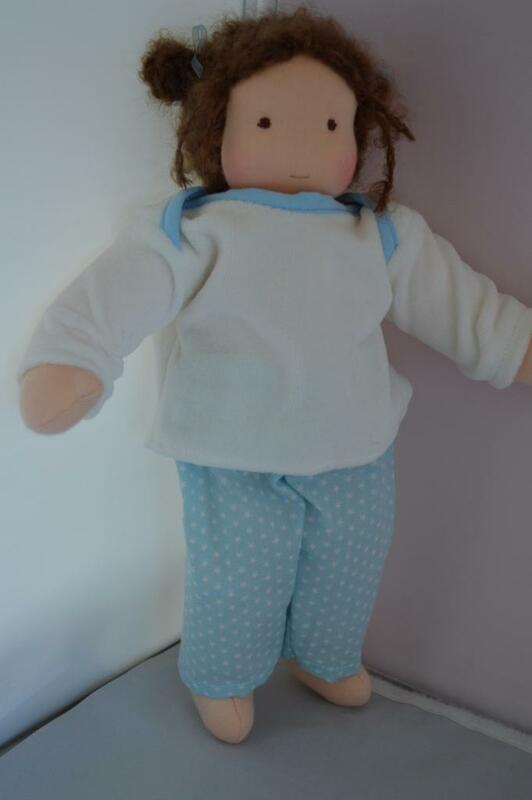 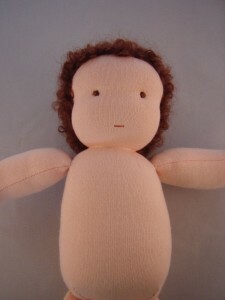 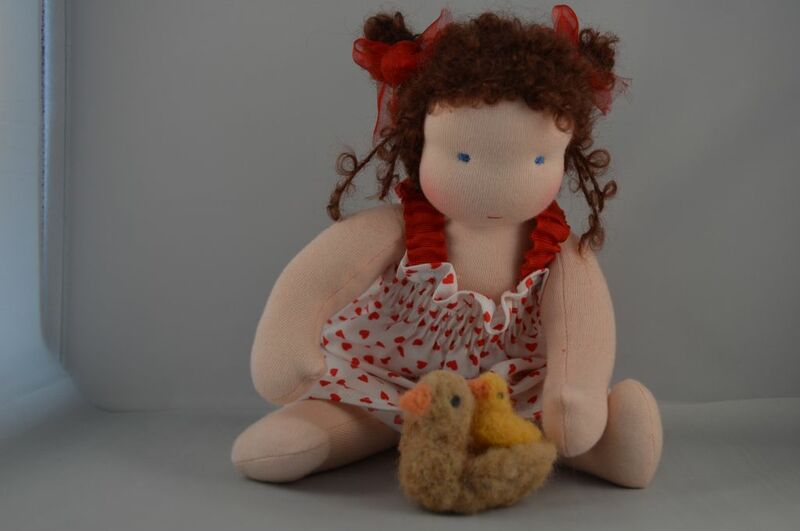 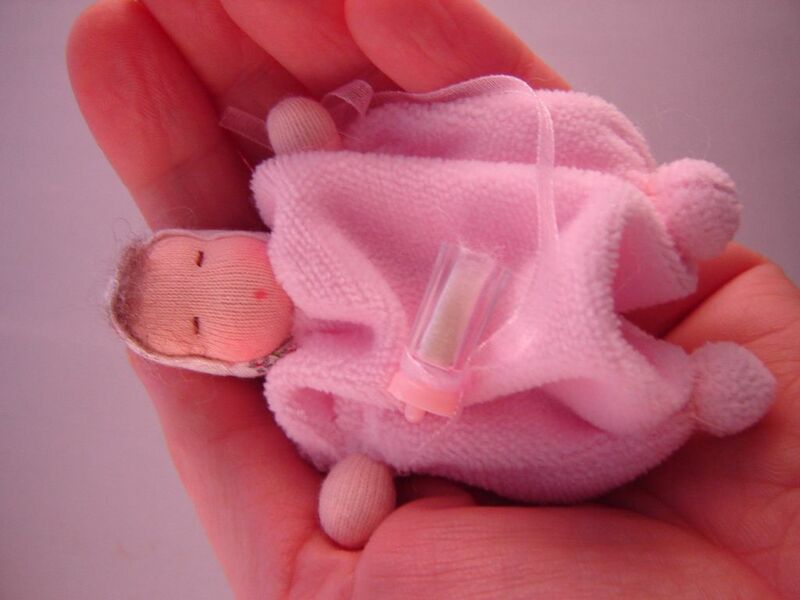 This doll is very similar to the baby doll I make, but in order to resemble the body of an older child I gave him slender arms and legs. 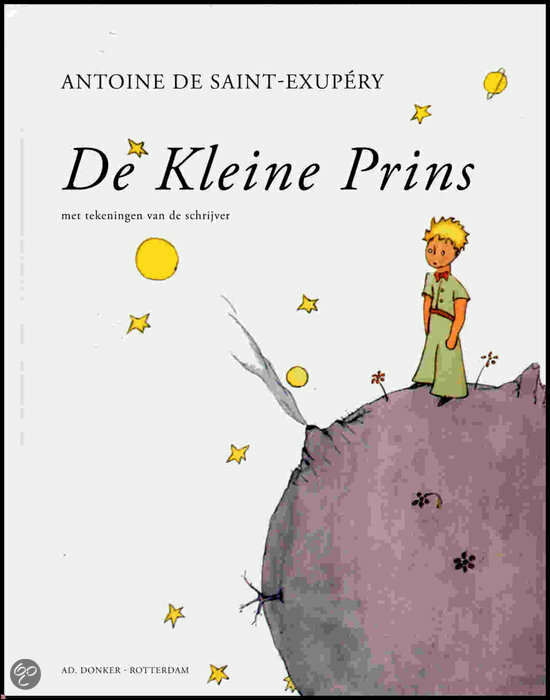 It is summer and we have a heatwave here in The Netherlands. 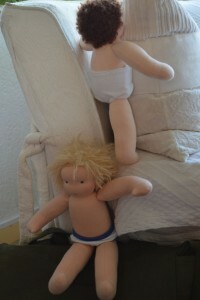 I have got two tiny boys here to keep me company and they are little rascals ! They don’t seem to be bothered by the heat at all, they just take of their clothes and have a lot of fun climbing the furniture. 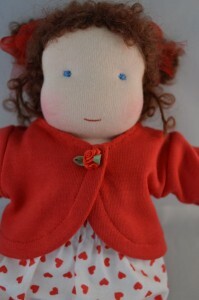 This Steiner doll is custom made. 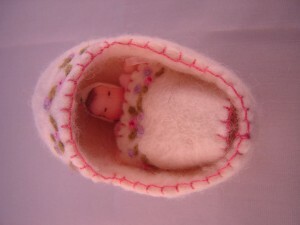 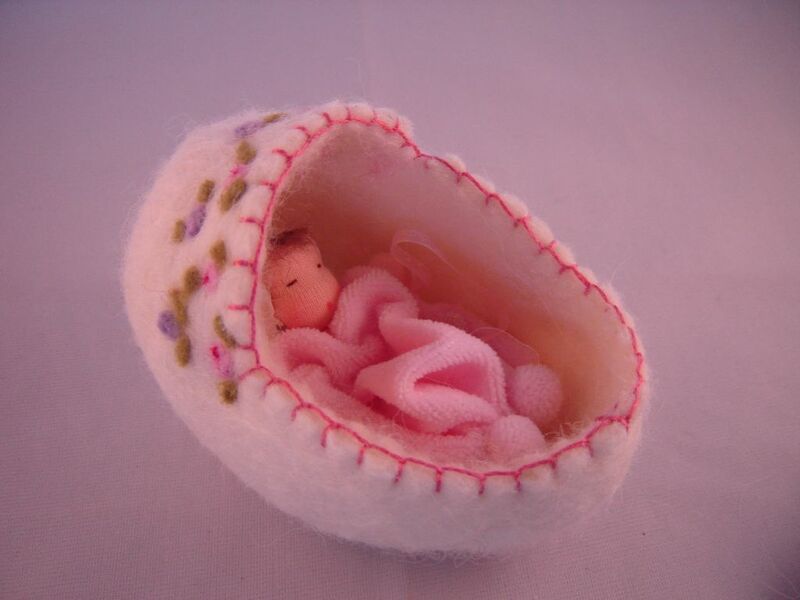 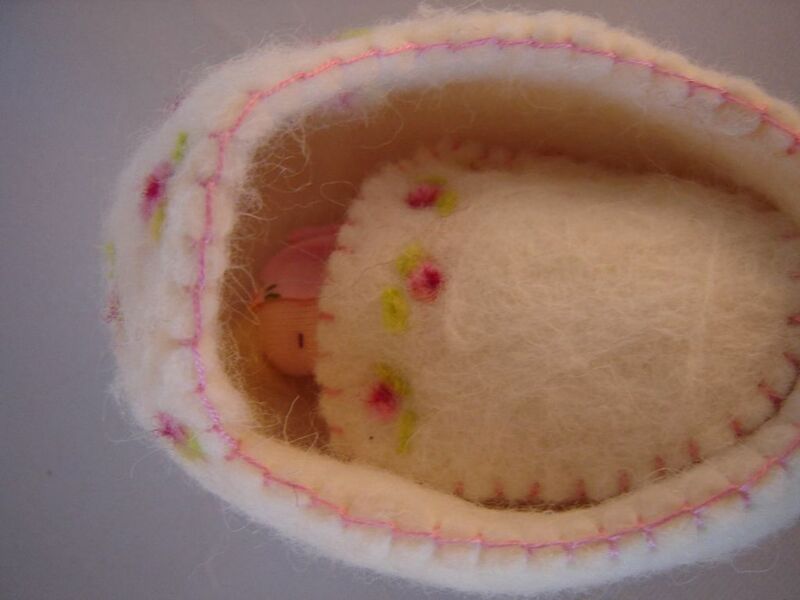 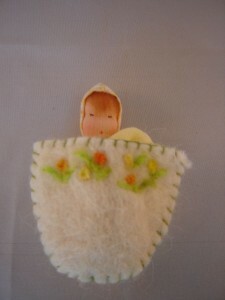 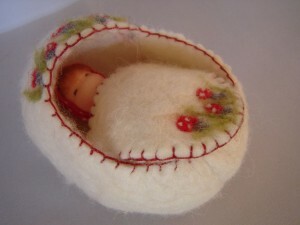 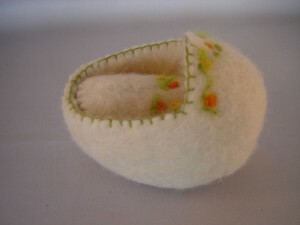 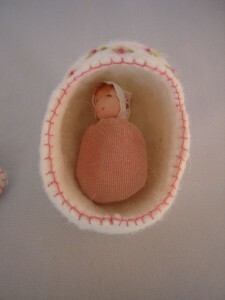 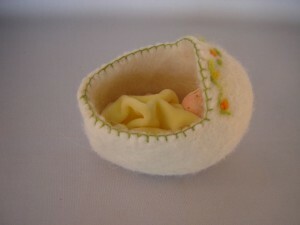 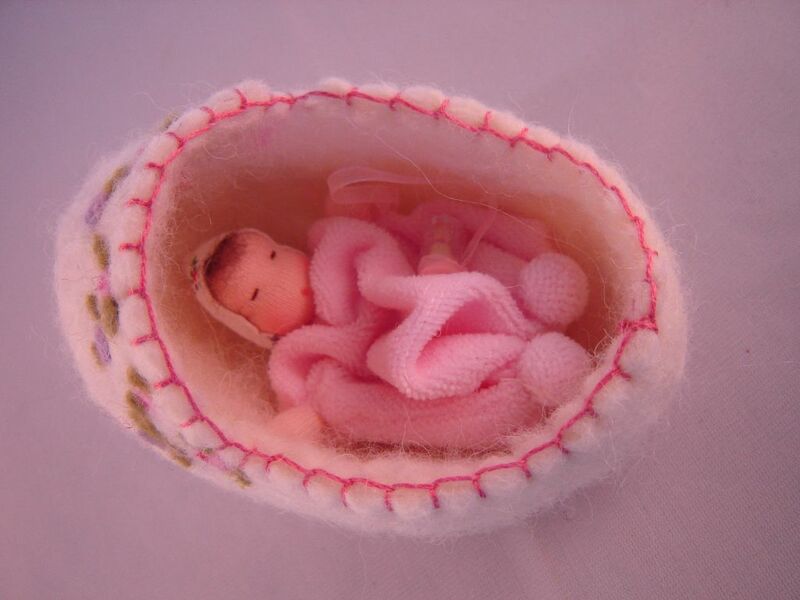 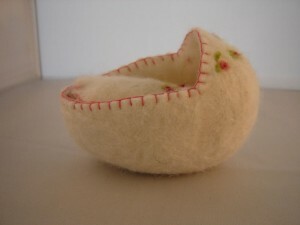 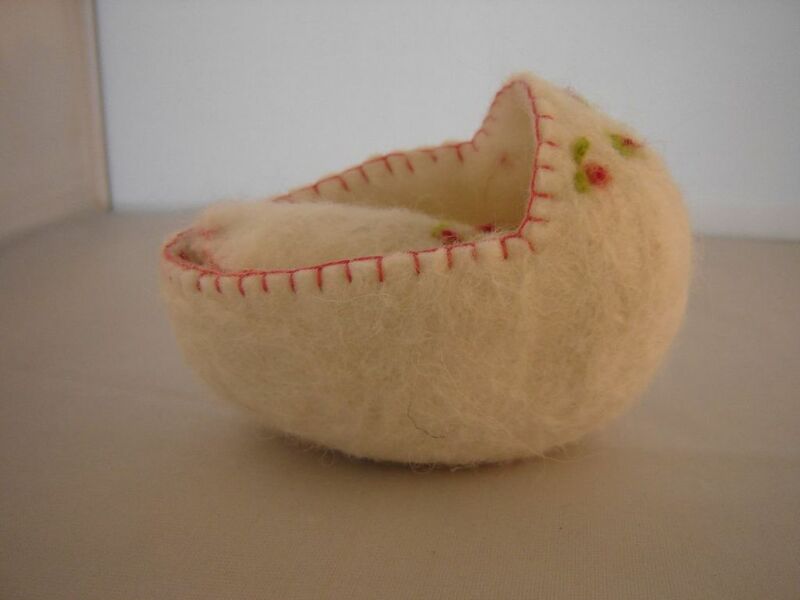 This time I made a cradle decorated with spring flowers and a soft yellow baby. 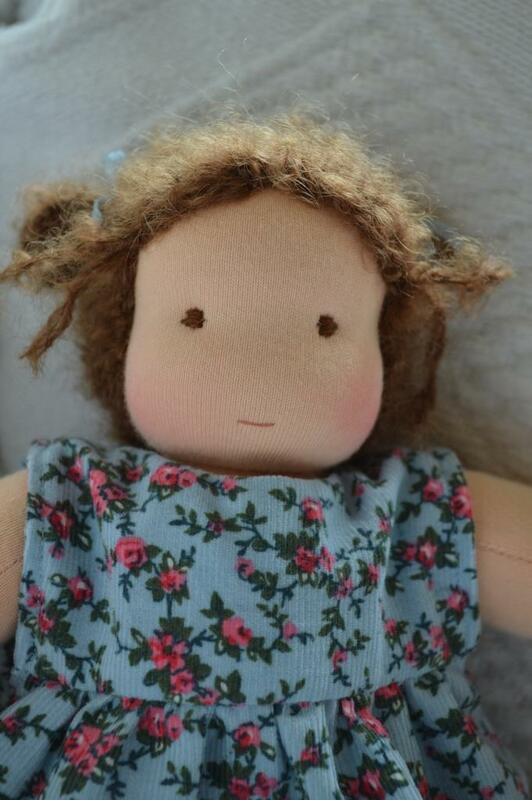 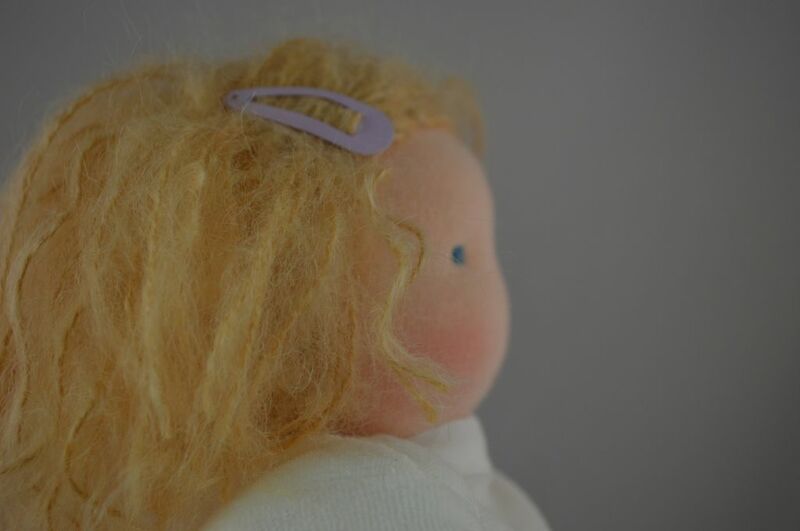 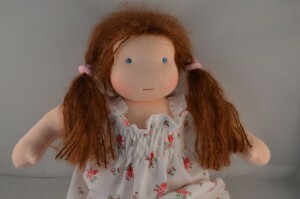 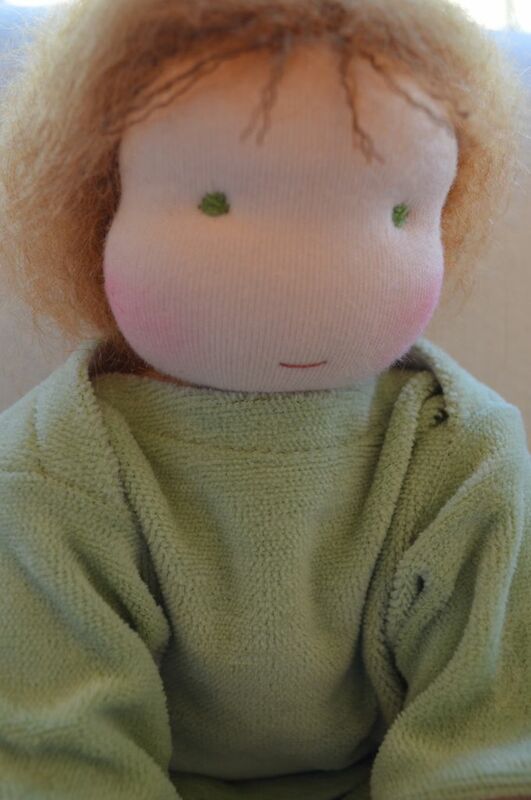 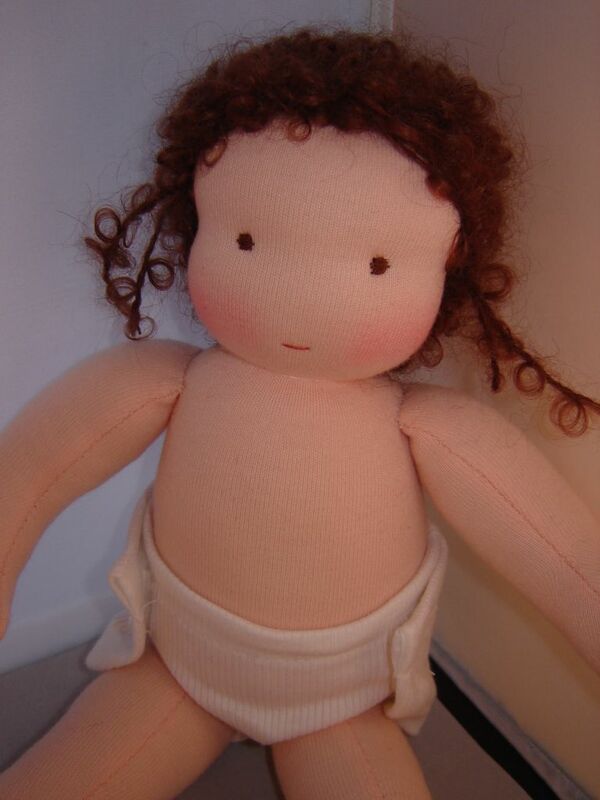 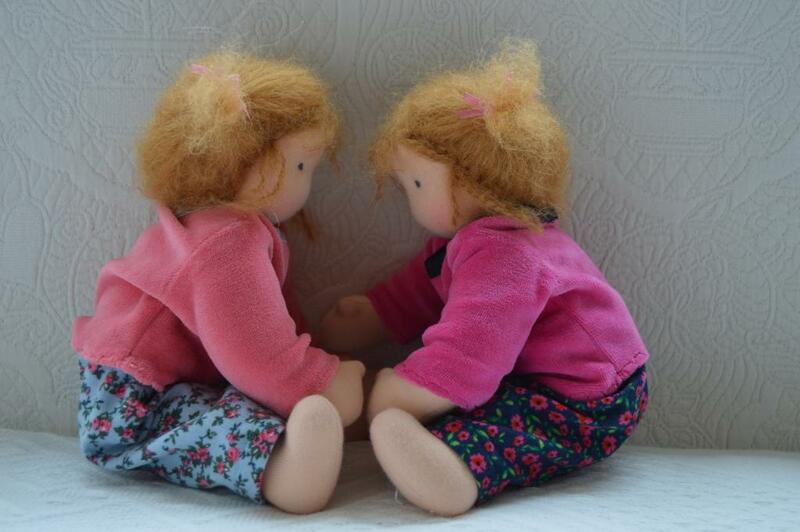 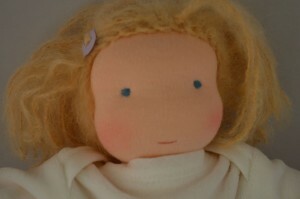 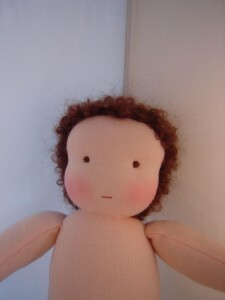 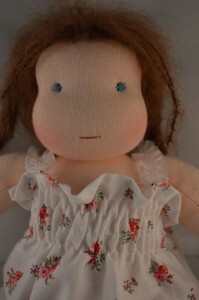 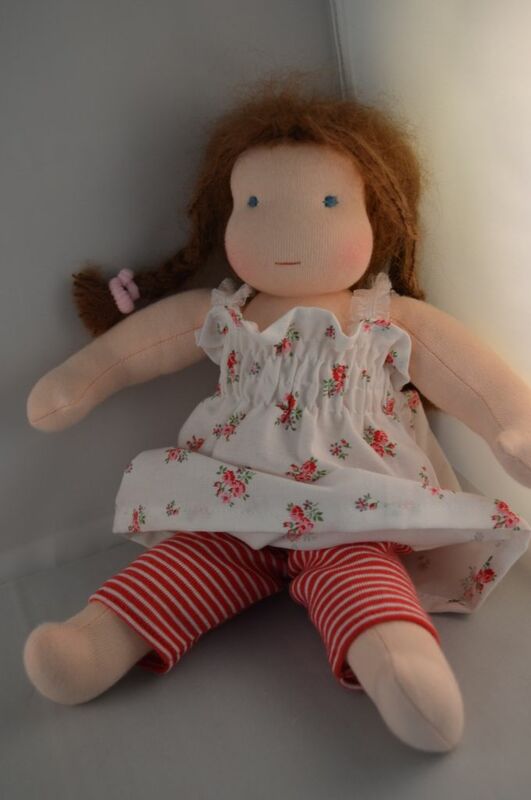 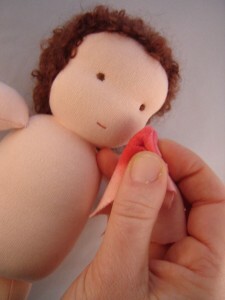 The best part of doll making is when I add a little colour on the cheeks and bring the doll “to life”.